Above is the same data charted. A linear line fit to the 300Hz data is also included, it is a very good fit. 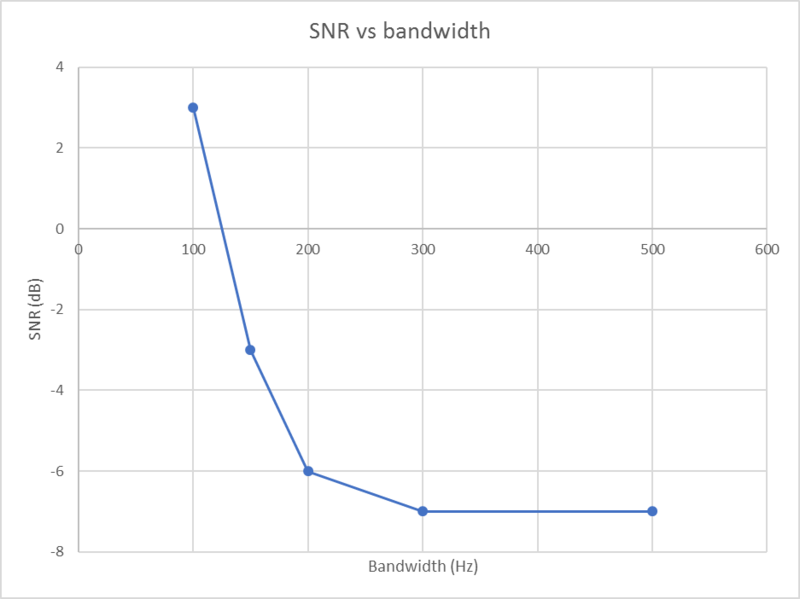 The issue that Talbot raised is that the reported SNR is quite dependent on receiver bandwidth. 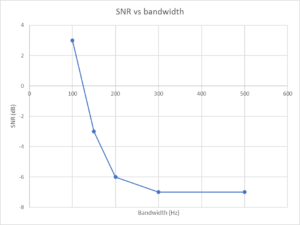 The chart above shows the sensitivity to bandwidth here at -120dBm input power. The table above is a calculation of receiver noise figure implied by the first table. The mean of the measurements with 300 and 500Hz bandwidth is 27.2dB, and the cells between 26 and 28dB are highlighted in green. 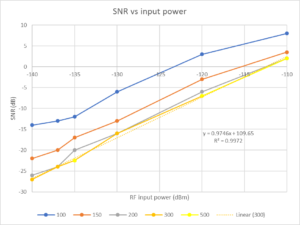 The receiver noise figure should be largely independent of the receiver bandwidth setting. 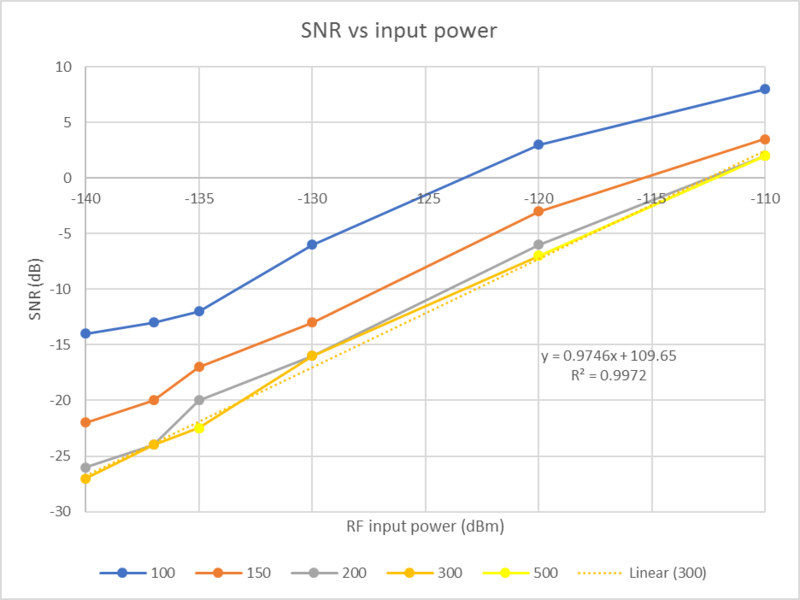 It is apparent that the results derived from reported SNR show that bandwidths below 200Hz return incorrect SNR, and the right hand column suggests significant non-linearity at SNR=2dB, a hint of some non-linearity of the measurement system (here with only one signal).